As I leave this beautiful and extraordinary place, I have been reflecting on where or what next. I thought a synthesis of some of the ideas and themes that emerged from the events we held in Dominica might be a good way to explore this question. The in-depth discussions I had with the small group of Dominicans who I had the pleasure of spending time with and who so generously hosted me, have also gone into this synthesis. A clear, unambiguous, and solidly practical discussion of the problems and issues facing Dominica should be a priority. If you can’t even agree on what you are up against then how are you going to start finding ways forward? 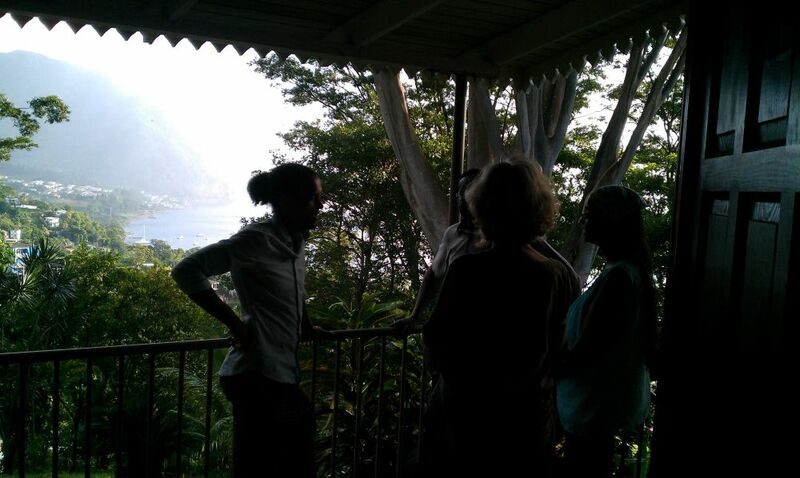 We started on this discussion at the workshop at the divinely beautiful Pastoral Centre, Morne Bruce. This needs to be a starting point. How can a non aligned state like Dominica thrive in our fast changing world? The threadbare ‘American Dream’ – made in America- and sold the world over (which is not even working for Americans anymore) is dead. There seems to be an unwillingness to point this out (in Dominica or anywhere else except possibly amongst Trump supporters). Is it fear? The rotting corpse of Capitalism still occupies the world stage only because nothing has the power, yet, to push it out of the way and make space for something else. Transition would do a good job of igniting and illuminating the obvious in plain view. There is a lack of vision. No-one is providing it, and in such a small country that might just be possible on a national scale. A vision inspires. A vision is what wakes people up and sets them off on previously unimagined directions. If a Transition group started generating visions for the various sectors of the economy and communicating them, you might be very surprised by what engagement develops. 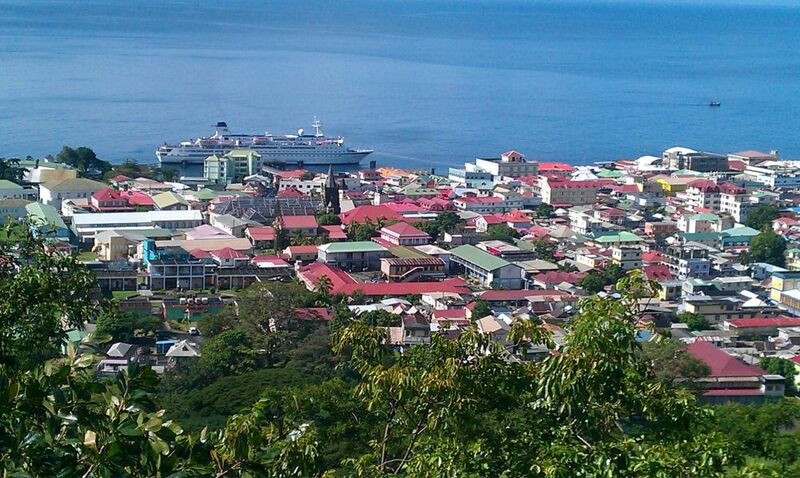 Dominica is a poor country. It’s farmers need new models and new productive niches if they are going to thrive and grow. Transition can help with this by providing good examples of how this is being done in other places. There are many good ideas that can be practically introduced and repurposed in Dominica that would enrich those willing or able to break with the past. Dominica is a rich country, rich in national resources, independent spirit, water, coastline, common land and land management practices, and renewable energy resources. This wealth could be easily exploited in ways that destroy the very thing they seek to maintain. Our culture cannot distinguish real wealth from short term exploitation. There seems to be some sense of this in Dominica. There is also a wealth, scarcely acknowledged to during my visit, of indigenous knowledge and practices which have survived millennia, and the onslaught of 500 years of European colonisation. Entrepreneurs also need support and help. 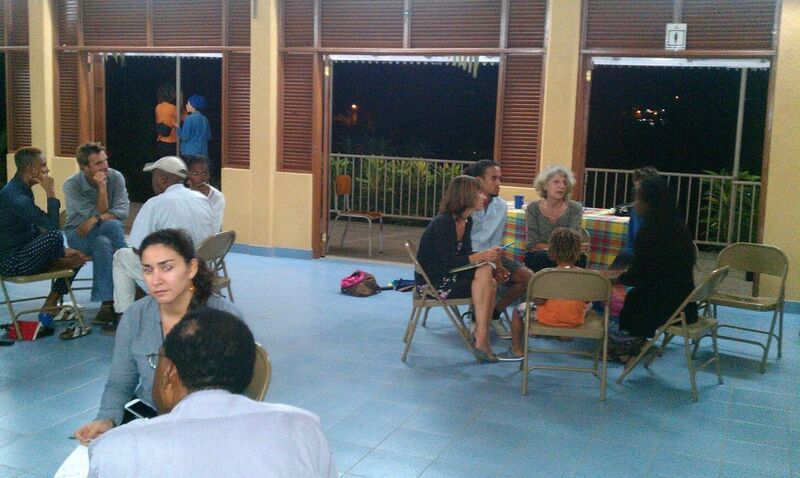 What would a Local Entrepreneur’s Forum look like in Dominica? It is a tried and tested formula which some feel can reorientate and invigorate local economies in one easy step. What about support for basic business skills? What we find when supporting young business people, is that they are full of good idea and lots of energy but they lack some of the basic business skills that will make it much more likely that their enterprise will be around in a few years time than not. This might be a good place to start. We live in an international world where social media and internet based communication and working are essential skills for success. While Transition certainly doesn’t have a monopoly on this (ask any teenager) but we know how to work in this way. Our training, right though to our working as an international organisation are all web based, and very highly skilled in the latest methods and practices of how to create and maintain high functioning, multi locational work teams. These skills are essential to any modern business person. Building links with other local groups, and even trans regional groups who are doing similar things is a powerful and relatively easy way to create synergy and find ways that Transition can help with. Linking to a flexible, self organising international organisation, that supports you and adds to your efforts, seems like an essential element for a small country that cannot possibly contain all the expertise and resources that it needs to Transition. In one small step you will have a raft of international links and contacts. Questions like where to find regional support, resources, and even funding would be infinitely easier than going it alone. I hardly touched on the layers of trauma that exist just beneath the surface in my visit. The history, the violent and painful history, of slavery and genocide of the indigenous peoples cannot be ignored. It is evident in the lack of engagement of ordinary citizens, individual addictive patterns, and lack of pride in the look of the island. You cannot possibly operationalise the ‘nature island of the Caribbean’ without healing some this the current and historical trauma. Would a peace and reconciliation tribunal (as was done in South Africa) work? If there was an inner Transition group in Dominica, I imagine this would be one of their main focusses of work. When I asked the question at the workshop who has heard of open space meetings, I was surprised find almost no one. This is surprising in our world today or at least in Transition worlds. There is a raft of new social technologies that make a significant difference to how we see ourselves- as individuals- in the world, and how we can work together more creatively and effectively. Everything from meeting technologies like world cafe and open space, governance technologies like sociocracy, and individual personal development technologies are transformative. 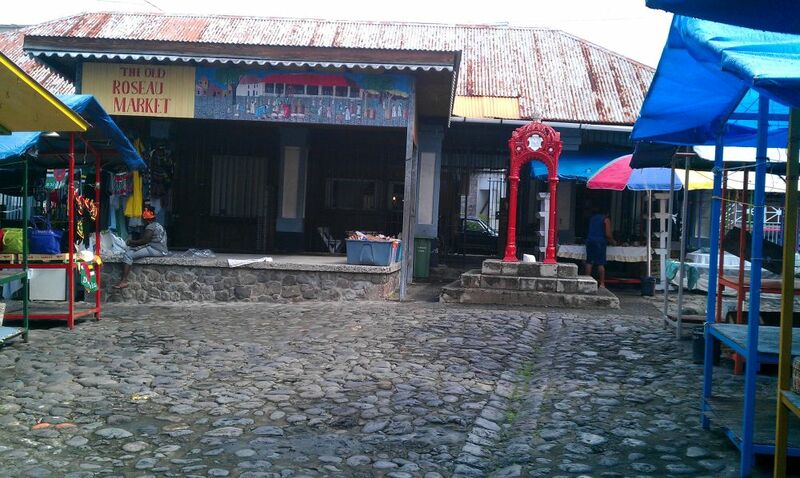 A vibrant and alive connection to other parts of the world is necessary for a small, easily isolated place like Dominica. Cruise ship visitors won’t do it. I can see Dominica having a unique and powerful voice in the international community. What an opportunity to have a nation the size of Dominica with a united, free, and aware people, able to express themselves on the international stage. But can Dominica find it’s voice? 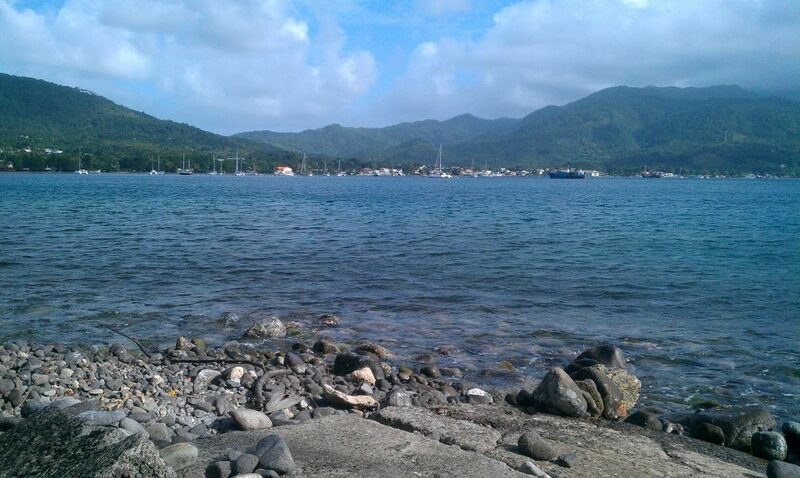 I think we need places like Dominica to. If I have learned anything working in Transition for these last 10 years, it’s that the places that will take us to a resilience and and sustainable world are at the edges. The centre is just too invested in the status quo to make a difference. As always the drive, ambition, and resources (financial and personal energy) needed to bootstrap a culture or a country from a slow downward spiral of social, economics, and environmental degradation into a virtuous circle comes from within. It will come from those in Dominica who make it their mission. It is the co creative ray of love made manifest. The unique blend of practical action and inner sculpting that we call Transition is made for this job. Wow! Great piece. Everything you wrote here applies to the rust belt town where I live in Pennsylvania, except for the ocean view! This is an outline for speaking to any group when embarking on a social mission. Just substitute your own town name. Thanks. The Waitukubuli Ecological Foundation (WEF) would like to say a big thank you to Mr. Naresh Giangrande for undertaking, at the invitation of the Foundation, what must have been a feat of endurance of getting to Dominica from Chile and leading on the public conversation that followed. WEF is an environmental organization whose main objective is to turn the idea of “the nature island of the Caribbean” (as Dominica is known internationally) into a national “big idea”. This second blog of your visit to Dominica is interesting because your various suggestions are very much in keeping with the “nature island” concept. We do not agree with your statement, though, that “there is a lack of vision and no one is providing it” in Dominica. The “nature island” concept is a vision and one that we believe to be particularly apt for Dominica. It represents the aspiration of a previous generation which we can perhaps achieve today in the era of climate change when attention to the natural enviroment is forcing itself increasingly on the global consciousness. It can provide us with a framework for addressing our people’s basic needs in a sustainable way and and really taking care of our natural world as we had never done before. WEF pioneered the Waitukubuli National Trail as an example of how we, in a small island state, can both conserve our natural environment and improve the economic well-being of the people. There are many other ways we could simultaneously develop a green economy which could enable us to produce more, more equally distributed, and make us more conscious of our impact on the natural world. Organic agriculture possesses the same dual advantage as does our rich cultural heritage, fashioned in the long struggle for freedom from slavery. Prioritizing renewable energy is yet another. The synergy ideas were further explored in the 2001 “Ten Theses on the Development of Dominica” which was the first attempt to define an overall national aim based on our still pristine natural environment and on our unique history. The invitation to “Transition” to share with us in Dominica was made in pursuance of our continuing effort to refine that vision and in this respect we felt we could learn from your approach. But to say that there is no one with a vision for the island risks devaluing local efforts and painting an inaccurate picture to the outside world. Where we hoped Transistion could help is in the important area of networking and the learning process of cross-fertilizing of creative ideas and dialoguing. We see such connections founded very much, though, on mutual respect, encouragement and solidarity. Thanks for the comments. I hadn’t thought that these ‘keys’ could be more widely useful. And Jay, i did reference the LEF in one of the keys. I think its a great tool for Transitioning you local economy. The question of lack of vision i feel sorry I haven’t expressed myself very well. Of course the Waitukubuli Ecological Foundation has done great work in providing vision and inspiration over many years. And as i understand it, very much a lone voice. I guess it would be more accurate to say that this vision hasn’t been taken on, which leaves the country as a whole at the mercy of external economic and ecological pressures. And this is not the fault of WEF. This is a failure of national politics. And we can say the same thing about most other countries. Although not all, Costa Rica and Bhutan spring to mind. Vanuatu is also providing leadership.